The inaugural Scottish D-Zero Championship, Vortex Scottish Open, Musto and RS200 travellers are sharing what has since 2016 been a fantastic weekend of class racing on well-laid courses with great race menagement. The club lays on food on Friday, Saturday and Sunday and there is a curry night for all competitors and volunteers on the Saturday night. Both the D-Zeros and Musto Skiffs will be holding national championships at the club over 2019 and 2020 and this race weekend is a great chance for visitors to get more experiance of the fantastic venue and waters. Good local accomodation and Camping availible on site. Notice of Race and Sailing instructuiosn will be posted here closer to the event. Sponsored by the UK Dealer, Dzero.co.uk, this is the inaugural Scottish D-Zero Championship and reflects the considerable growth of the class in Scotland with two major fleets in Largs and Prestwick and numbers growing on the East Coast. 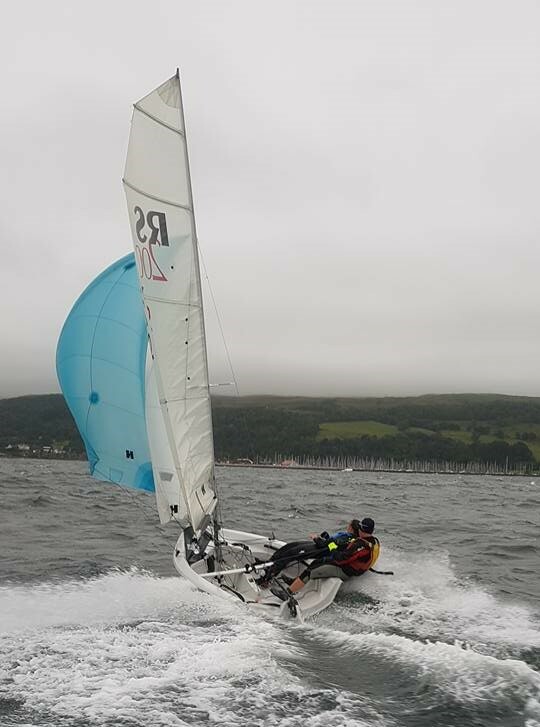 The Largs Open Event held since 2016 has grown in popularity and last years event attracted a number of sailors from the south and north of England and we’d hope to see even more visiting boats eager to test themselves on the waters of the 2020 National Championships.